The Climate Vulnerable Forum, or CVF, is very pleased to see this important discussion carried out today. Our Forum unanimously supported the adoption of resolution 29/15 in July last year. Since then we expanded from 20 to 43 member states and we now represent one billion people highly vulnerable to climate change. 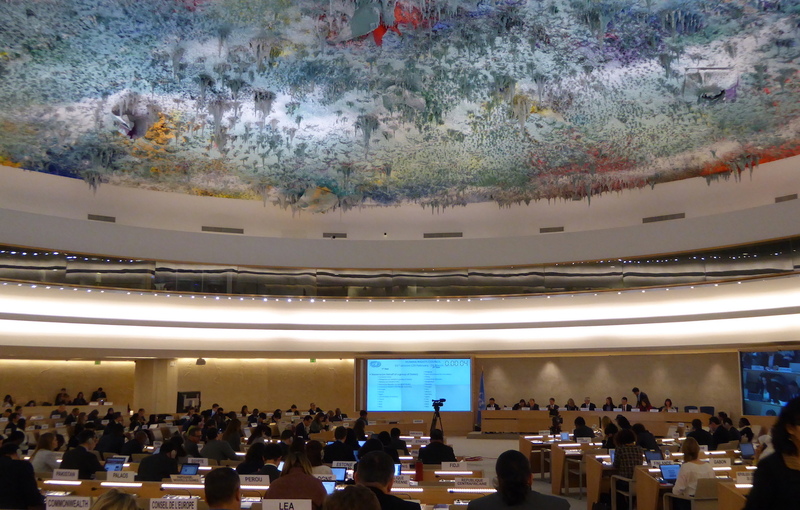 The CVF is pleased that the Council has recognized that climate change adversely affects the full and effective enjoyment of a wide range of fundamental human rights. Our vulnerable countries face important rights challenges due to climate change. Our island and delta nations, for instance, already experience erosion and loss of coastal land and in certain cases even face risks of total submergence. We are only just beginning our examination of these challenges. We strongly support the continuing inclusion in the agenda of the Council of the discussion on the adverse impact of climate change to the full and effective enjoyment of human rights. We welcome the acknowledgement in COP 21 held in Paris in 2015 of the relation between climate change and human rights. But we are off to a good start: recognition of challenges that climate change brings to the right to health comes across with great force in the more than 40 submissions to the OHCHR under the analytical study into this topic mandated last July. This includes two submissions from CVF members, Honduras and Morocco, which add national resolution to the concern. That perspective is important. WHO conservatively estimates climate change will cause 250,000 additional deaths per year by the 2030s. Most of the climate-related death toll however occurs in vulnerable developing countries and among people in extreme poverty. The same is true for the much larger numbers of people that experience disease and other serious health repercussions because of the warming of the planet. The body of work before this panel is equally clear that implementing proven interventions to reduce emissions that are the overwhelming cause of climate change will save millions of lives, given that air pollution causes more than 7 million deaths each year. Reducing emissions and living up to the ambitious objective of limiting warming to 1.5 degrees as enshrined in the newly adopted universal Paris Agreement will lower risks and deliver large benefits. The case for doing so in health and rights terms is now perfectly clear. It is also a humanitarian and development priority for countries in a position to do so to support developing and vulnerable nations as they tackle these effects at home, and to uphold the internationally protected rights undermined by the global phenomenon of climate change. The emissions contribution of our one billion people is fractional. Our capacity to deal with the challenges asymmetrically imposed on us is also the least. Yet current international climate change finance, for instance, still leaves much room for action on mitigation. Further, shortfalls in adaptation funding prevent the saving of lives and upholding of the rights of affected individuals and communities. These are tasks for the UN climate convention. However, exchanges between the Council and the UNFCCC, and the further work of the Council in this area, are thus particularly critical and can add urgency, effectiveness and moral authority to global cooperation to arrest warming and assist vulnerable countries with the extreme challenges we face. Such constructive contributions are strongly supported by our Forum of vulnerable countries.